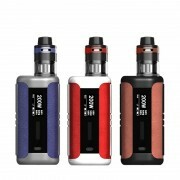 ✔ Powered by a 18650 battery, max up to 70 watts. ✔ 3ml e-liquid capacity. ✔ REG/BYPASS mode. ✔ 0.5 ohm Clapton/1.8ohm/0.15ohm Ni200 coils. Shipping restriction: Due to exclusive distributor of Aspire, we do not send Aspire products to customers in South Korea. 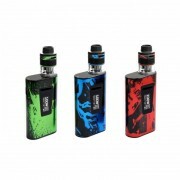 The Aspire Odyssey kit includes a Pegasus box mod and a Triton 2 tank. 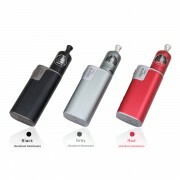 The Pegasus mod is powered by a 18650 battery and delivers power up to 70 watts in REG mode. It supports REG/BYPASS mode and temperature control. 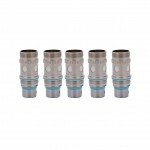 The Triton 2 tank with 3ml capacity, features a 0.5 ohm Clapton coil installed for direct to lung vaping. 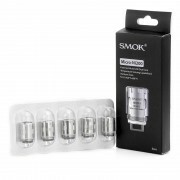 It also comes with a 1.8 ohm coil for mouth to lung vaping and a 0.15ohm Ni200 coil for temperature control. 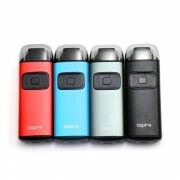 You will enjoy a great vaping experience with the Aspire Odyssey kit. ➤ 1. Powered by a 18650 battery, it delivers power up to 70 watts. ➤ 2. 3ml e-liquid capacity. ➤ 3. Supports REG/BYPASS mode and temperature control. ➤ 4. 0.5 ohm Clapton coil installed for direct to lung vaping. ➤ 5. 0.8 ohms coil for mouth to lung vaping. ➤ 6. 0.15ohm Ni200 coil for temperature control. ❤ Please read the user manual carefully before using this device. 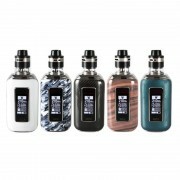 ♻ 6 months for Aspire Odyssey Kit.